Working 8 hours everyday can sometimes require a lot of emergency kits. Well atlas for me. I hate to be one who is asking for things that a lot of people probably don't have in their bag. So I created my very own bag essentials for just in case purposes. 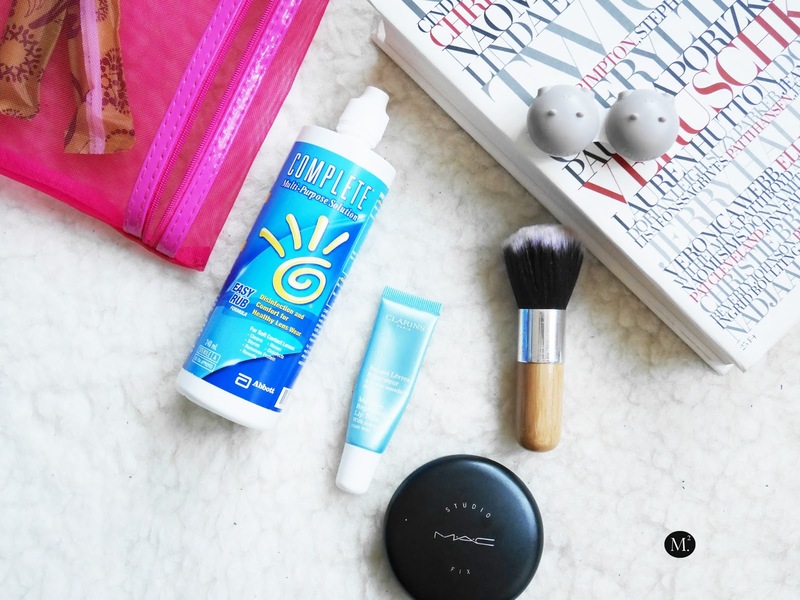 Whenever I wear makeup, I don't typically carry all the products I used for touch ups. As long as I have a blotting paper and face powder I'm pretty much good to go. Mainly because I use products before hand that will for sure last all day and require no touch ups. 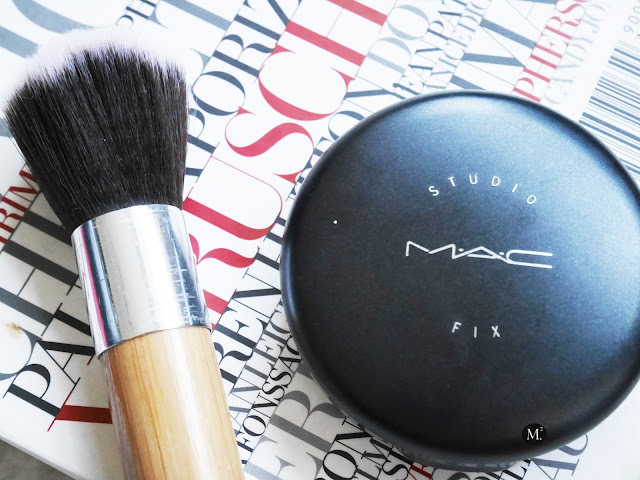 My favourite go-to is my trusty MAC Cosmetics Studio Fix Powder. It gives me a bit of coverage, and help mattify my greasy as face! Lip balm is a must for me! Having chapped lips all day is not pretty darn good. Worst is when it's peeling and whenever I drink or try to eat anything sour or spicy, it hurts! To try to avoid that from happening, I make sure I have lip balm at all times. Fun fact: I have about 7 lip balms laying around the house or chilling in my other bags. 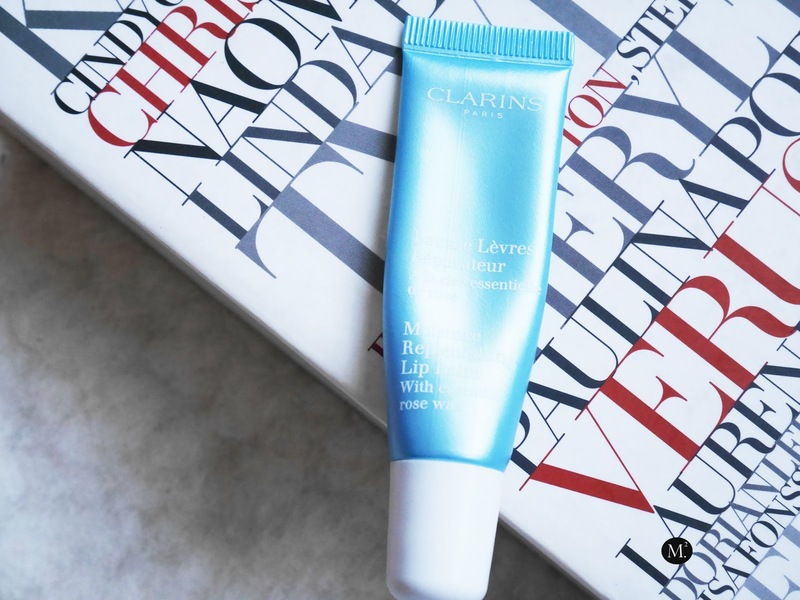 I switch it out between Lucas PawPaw Ointment which is a multipurpose ointment, Carmex Lip Balm, and as of now Clarins Moisture Replenishing Lip Balm. For those of you who follow me on Twitter (@meetmariee), I used to complain on how bad I am in applying contact lens! The struggle is real when it takes you 20 minutes to pop contacts in one eye! Call me stupid, but I'm not a fan of things poking in my eye. But I didn't give up and kept trying every single day, and I can finally say that I'm a pro at applying contact lenses! 2 minutes max for both eyes! Weeehoo! So now I can finally work properly without having to worry about my glasses getting caught! To keep my eyes moist, I have to bring contact solution with me anywhere I go! 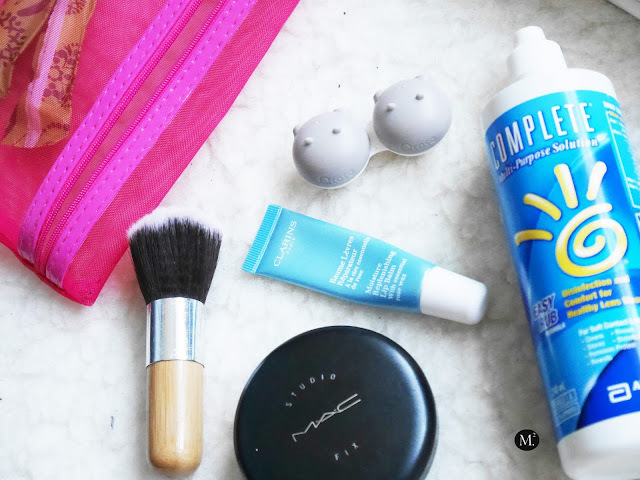 And how cute is this hippo contact lens case!? Another thing, I feel like every girl should have in there essential kit is tampons! You never know when you would need them! Or be a good friend that comes to the rescue! I always make sure I have at least 3 tampons with me. I don't know 3 but one is never enough! My favourite kind of tampon is the ones with plastic applicator! And occasionally, I would have sanitary wipes too! 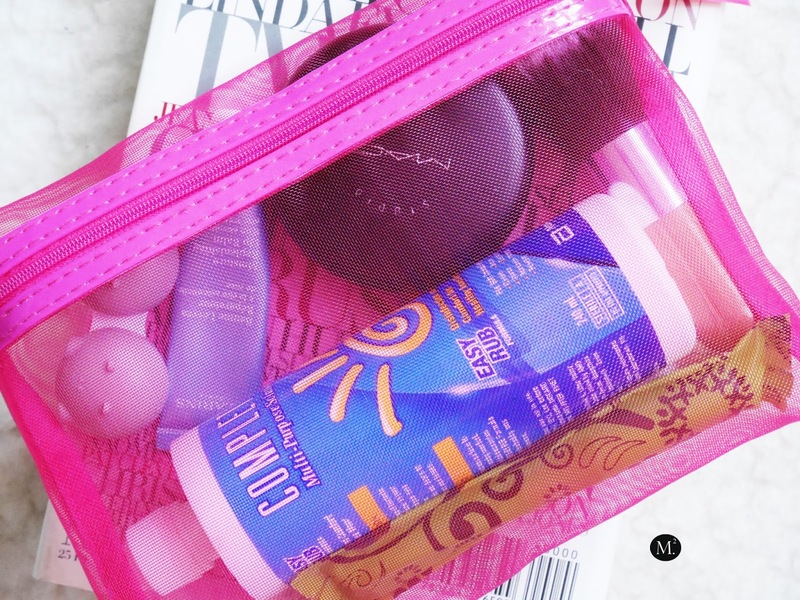 I love how everything fits in this makeup bag! And I can squeeze in a few more extras if I want to! 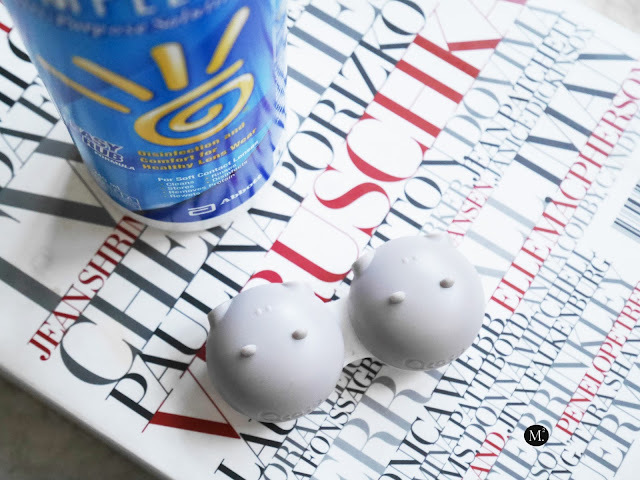 I wouldn't say I can't live without these products, but it definitely helps me get through out the day without having to worry about one thing! This can also double as my emergency kit if I unexpectedly did extra hours at work or so. What do you guys carry in your everyday bag?